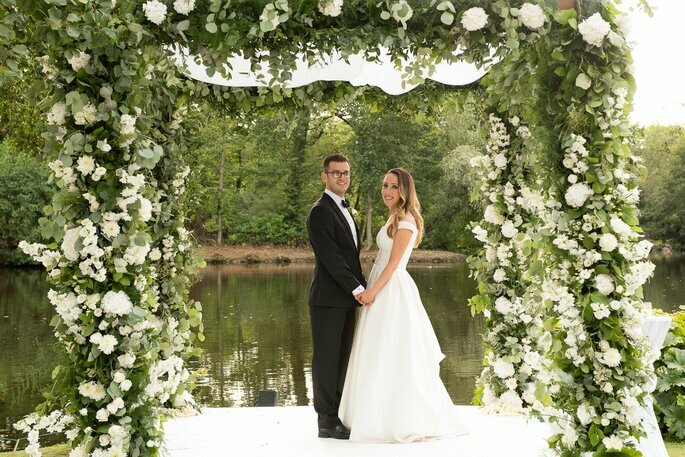 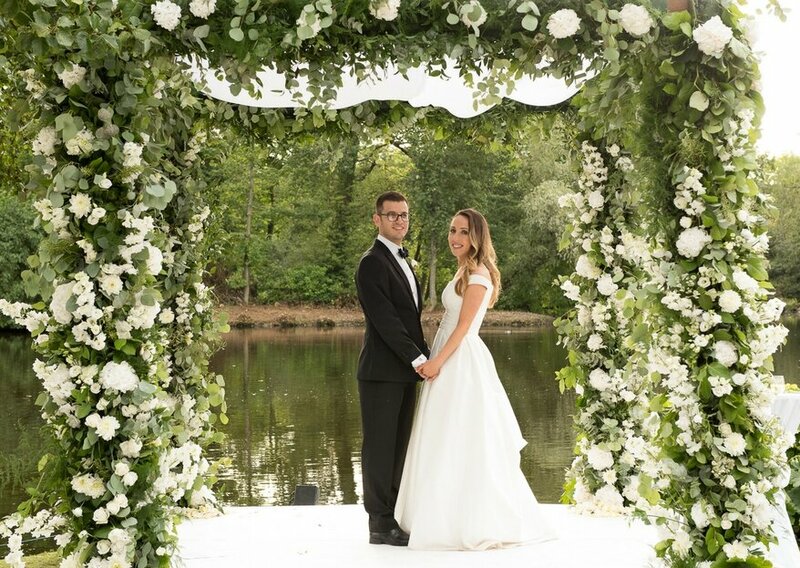 Pippa and Josh’s lakeside ceremony and secret garden-themed marquee wedding was a feast for the eyes, and we are excited to share their beautiful photos with you. 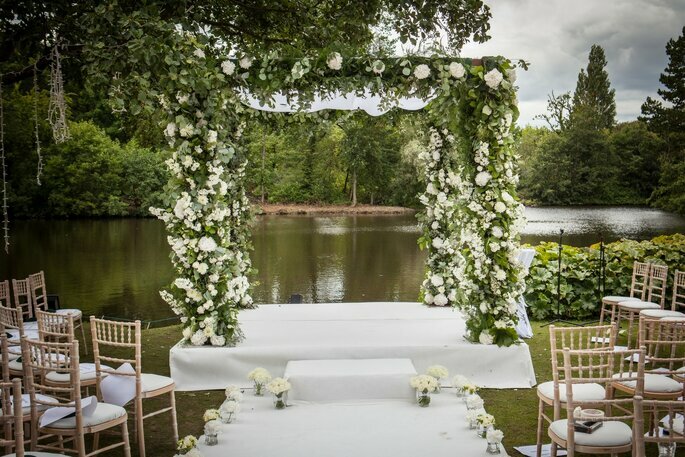 The couple got married at Thornton Manor, where there is a beautiful waterside pavillion and lovely woodlands. 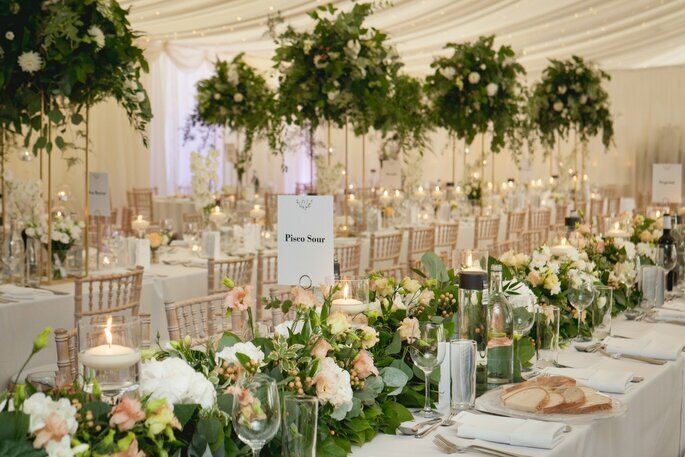 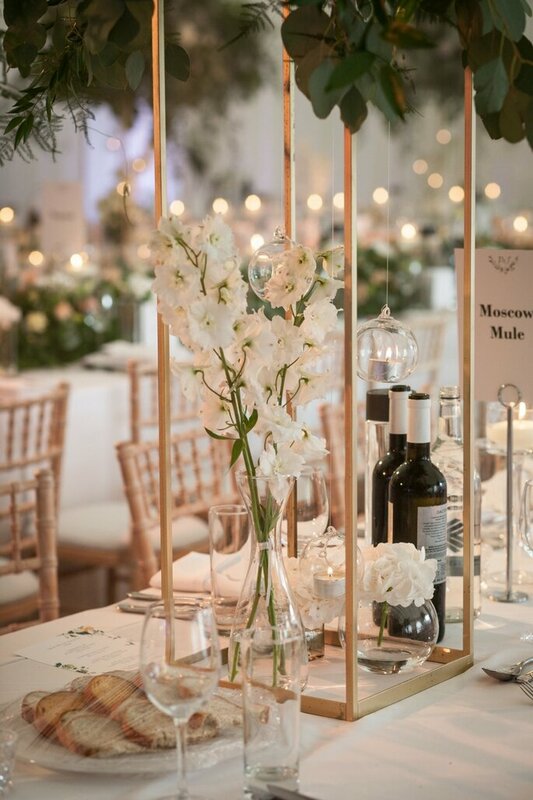 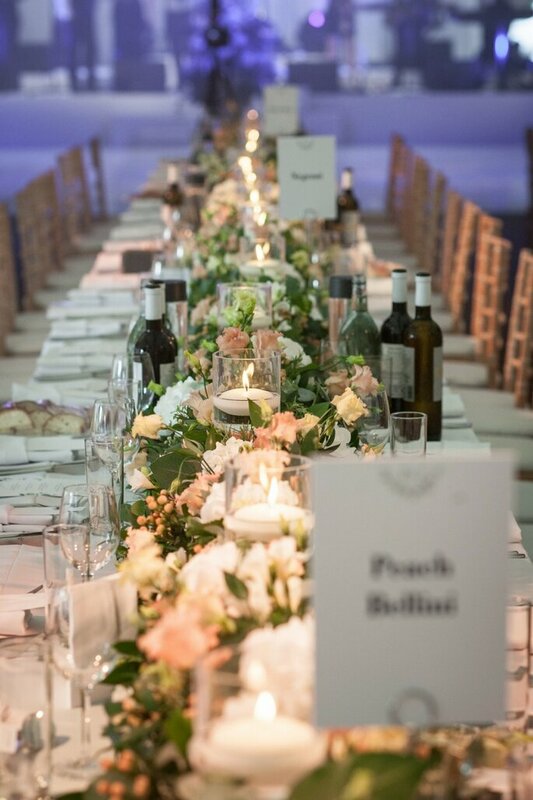 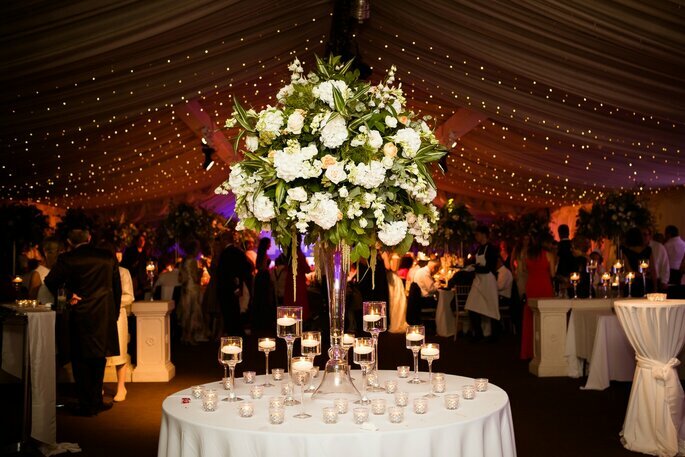 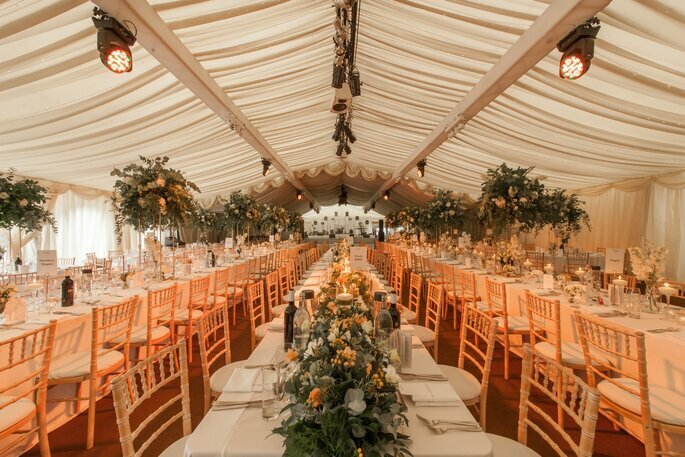 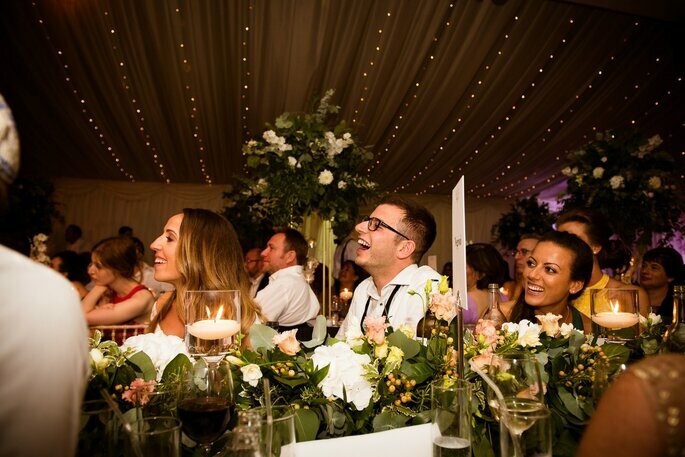 The enchanted floral garden effect was achieved both inside and outside the marquee with the help of Qube Events and Productions, who created a 1920’s garden party theme through the use of clean cut whites, gorgeous greens and subtle apricot flowers and foliage. 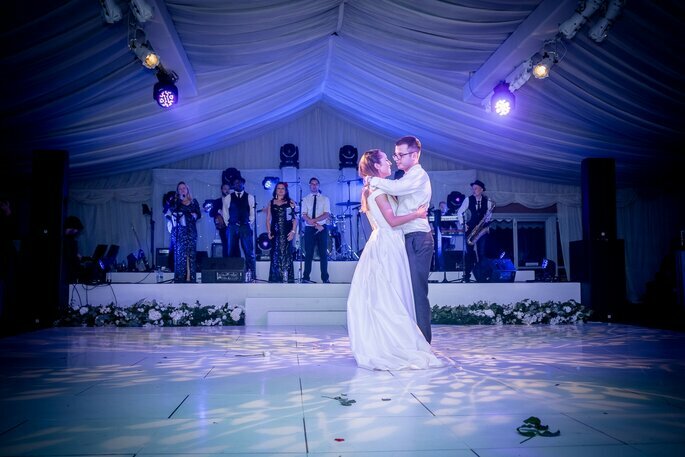 Every moment of Pippa and Josh’s special day was captured by photographer Pascel Plessis from Reportage Gallery, and Videographer Rebecca Reville. 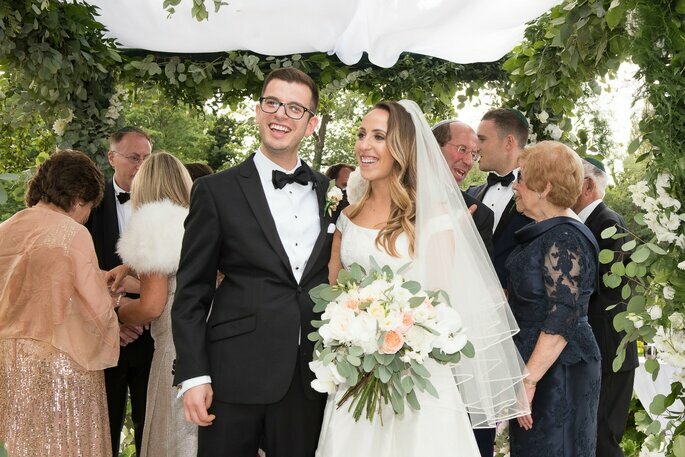 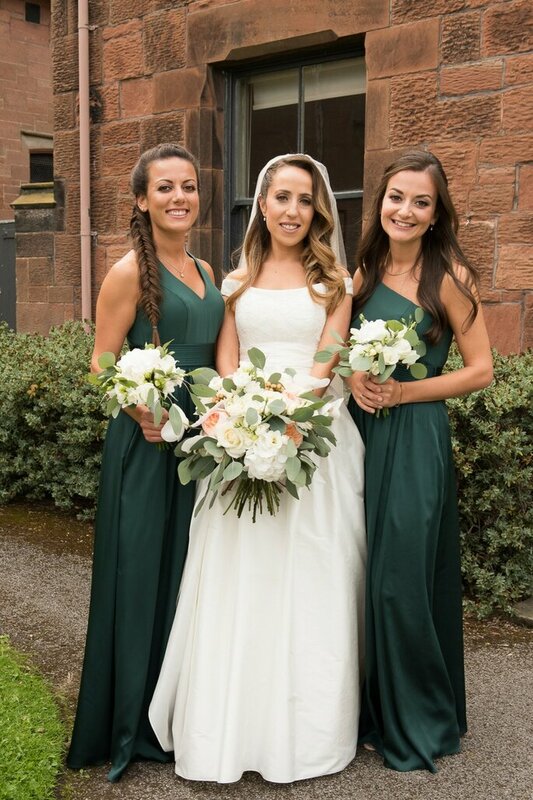 Pippa made a gorgeous bride wearing a Stewart Parvin bridal gown, while her bridesmaids looked picture perfect next to her in a bottle green tone, and Josh wore a Ted Baker and Thomas Pink suit. 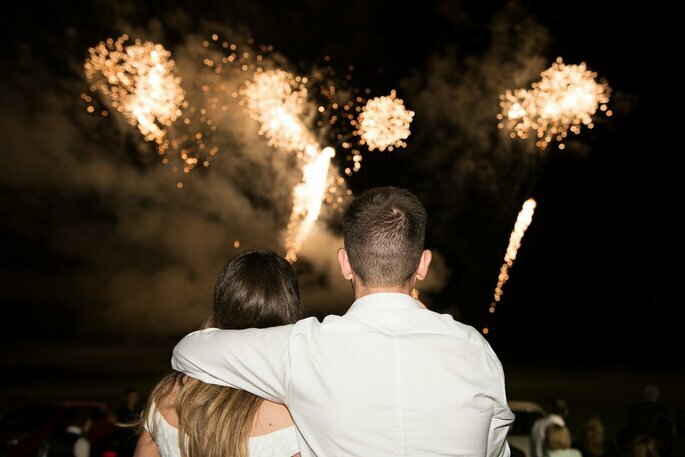 From a special ceremony surrounded by beautiful scenery and lakeside views, to a joyous reception followed by dancing and fireworks. 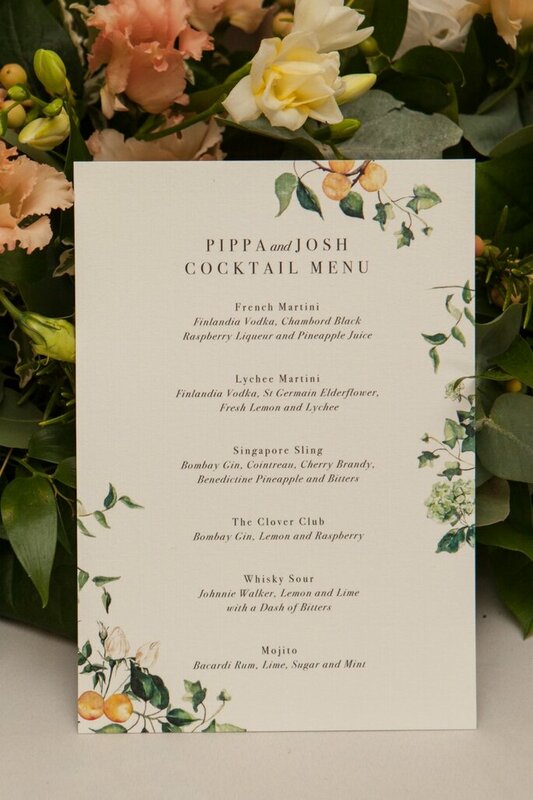 Pippa and Josh’s day looked magical from start to finish, and we hope you enjoy looking through their photos as much as we do!